I was in a hotel bathroom in Copenhagen late last year when I realised I might be pregnant. I had been hit by exhaustion about an hour earlier – but we’d just walked around ten miles so, you know: nothing too unusual there. I had become so desperate for dairy that I almost cried waiting two minutes for a hot chocolate – but I’d been surviving on wine and mushrooms (there are limited veggie options in Denmark) so, you know: not totally unreasonable. But now there was a strange pink smear in the toilet and I knew enough to wonder: implantation bleed? On the other hand, I have endometriosis and a very irregular cycle and it was two years since Steve and I had last bothered with contraception so the chances of me being fertile seemed pretty slim. After a few minutes of panicking, I decided it must be fibroids or “something” and I put it to the back of my mind. Far enough back that I drank wine that night, ate runny eggs a few days later and didn’t stop cleaning the litter tray. When I was still exhausted three weeks later – with added zits and frizz – I did a test. And it was positive. Being pregnant was a shock. When talking about kids, Steve and I had always shrugged and said, “If it happens, it happens – great. If it doesn’t happen, it doesn’t happen – also great.” We had worked on the assumption that it wasn’t an option. We had never actively tried to conceive. We had no idea how we were going to afford it. Still, there was never any doubt about keeping the baby. It took mere minutes for us both to get excited. For the next couple of months, it was our delightful secret. We made lists of all the things we needed to do in preparation. We whispered about names. Steve read the great big baby book NHS Scotland provides and moved us onto a super-healthy diet; I bought a box of pregnancy vitamins and… well, actually, my main contribution was sleeping every moment I was able. The exhaustion never let up. But it was worth it. We were both a little stunned by how excited we were. At ten weeks, every symptom except the tiredness lifted. I worried and I googled and I found loads of pregnancy forums full of women reassuring each other that symptoms do tend to ease at that point; that there was nothing to worry about; that they had all gone on to have healthy babies. I reminded myself that all I could do was wait it out and see what happened. It was only a couple of weeks until our scan and that would put my mind at ease. At eleven weeks, at Christmas, I started spotting. Tiny brown smears – not fresh, instantly alarming blood. The forums assured me that this was normal, too. 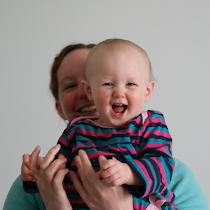 It was one week until our scan – I didn’t want to cause a fuss by calling the midwife. At eleven and a half weeks, on 30th December, the spotting got a little heavier and a little redder. I called the early maternity unit at the hospital and they booked me in for a scan the following morning. But within an hour the blood was gushing. There was an ambulance ride and the worst night of Steve’s and my lives. I lost a litre of blood in just a few hours. I was fainting; I had some sort of seizure; I was on a drip; there was talk of surgery and transfusions; there was awful, invasive scraping and great clots of purple vomiting out of me. There were flashbacks for weeks. Although, throughout the pregnancy, I had worried about miscarriage, I hadn’t given much thought to what it entailed. I assumed it would be a bit like a period: a couple of days of medium-to-heavy bleeding and some cramping. After all, the articles and books all talk about how many pregnancies end before the parents have any idea they’re expecting – early miscarriages are mistaken for periods all the time, they said; I hadn’t stopped to think that later miscarriages might be that bit worse. I bled very heavily for a fortnight; lightly but steadily for another two weeks. I was in pain for most of that time. My pregnancy symptoms all returned at once and took weeks to fade away. It was three months before my normal energy levels returned. And there was the grief. I had known that both Steve and I would be devastated to lose our baby but I had had no idea just how deep that grief could be. I could tell you how hard and how often I cried but that doesn’t come close to explaining it. I veered wildly between needing to get pregnant again immediately and refusing to ever risk another loss – that was it, I decided: that was my one attempt. And I didn’t know if I could get pregnant again. I didn’t know if this time had been a fluke. Every period broke my heart. But mostly what hurt was having lost our child. People who tell you, “There will be other chances – you can try again,” don’t get it. The pain was not that we had lost a baby; it was that we had lost that baby – that we had built up a whole new life in our heads which revolved around becoming parents in July 2014; we had reshaped our futures around having that child at that time. We had imagined it. We had dreamed it. We had become attached. And that had been torn away. I went back to work after two weeks. I wanted to re-establish normality and that was a mistake. It was much too soon. I cried in the toilets at work; I cried on bus journeys home; I cried myself to sleep most nights. I found myself resenting a job I had previously enjoyed. The closer I got to what would have been my due date, the harder it became to get out of bed in the morning, get to the office and put in any sort of effort. As far as I was concerned, I was supposed to be going on maternity leave; I wasn’t supposed to be there; this wasn’t supposed to be my life. I wanted to be at home with my child. It affected our social life, too. Friends with small children were hard to be around for what I think are obvious reasons. Friends who wanted children were hard to be around because I never knew when they would announce that they were pregnant. The first time I logged into Facebook after the miscarriage, I was greeted by an assortment of baby scan pictures. It seemed rude of them. It seemed selfish. So many babies were expected the same week ours had been and I struggled to greet the news with smiles. Luckily, I did have friends I could turn to. One woman who has had five miscarriages (and two children) was fantastic throughout; she went from being someone I had coffee with maybe twice a year to someone I saw nearly every week. Another woman who was facing up to infertility was wonderful – we shared a lot of the same resentments and it made all the difference having somebody there who understood them. I also insisted that Steve told his best friend – I was worried about him bottling up his own feelings so he could be strong for me; I believed (I still believe) we both needed somebody to talk to who wasn’t sharing our grief. But, for the most part, we didn’t tell anyone. The people we would usually have turned to were all away for the holidays when the miscarriage happened; by the time they returned, it was too much for us to talk about. And that made it lonelier. Our more empathic friends have seemingly limitless patience and I felt guilty not opening up to them. Others became snippy about how unsociable we were and we were too tired to address that. Very early on, I wanted to write about this. But writing about it meant letting the world know and that meant dealing with people’s reactions. Neither of us was ready for well-intentioned tactlessness or painfully wordless sympathy; we particularly weren’t ready for anyone taking offense that they hadn’t been told. Miscarriage is a very difficult thing to open up about. And yet it’s incredibly common. Around 20% of all confirmed pregnancies end in miscarriage. That means that, on average, for every four babies that your social circle has managed to produce, somebody has lost one. You almost certainly know people who have miscarried. They may be very close to you and you could never know. I came up against such a huge amount of tactlessness. And I couldn’t tell anyone why my smiles were so strained. But, as much as I didn’t talk about my own miscarriage at the time, I did wish that everybody else would talk about theirs. Because it’s lonely. Because I felt like we were the only people to have ever gone through this. Because I felt like Steve and I were the only ones to be so unlucky. Despite having the statistics to prove that that wasn’t true. I’m writing about it now because I want other people to know that it’s normal. And because I want people to know that, if they’re going through this, I’m here and they can drop me an email and I get it. And I’m writing about it now because I can. After a couple of months of relative normality, two weeks before what would have been my due date I fell apart. I cried constantly and uncontrollably; I felt like my life was in limbo, waiting to see if I would get pregnant again, wondering whether to re-focus on my career; the loss suddenly felt unbearable. But on the morning after the due date, I woke up feeling fine. I felt normal. I felt like me. I felt better. Passing that date made more of a difference than I could ever have imagined. Passing that date drew a line. And two weeks later there was another line. On another test. Our baby is due in April next year. It’s scary, being pregnant again after a miscarriage. I’m intensely aware of how much could go wrong – with the foetus; with the pregnancy; with the birth; after the child is born. I’ve been putting off blogging about this (and telling many people the news) until we reached this significant stage in the pregnancy – no, this one – no, actually, that one – as though, at some point, there’s a guarantee that I won’t then have to tell you I was overly optimistic. But the odds are good now. The odds are very good. And, the more people we tell the more real it becomes, the more excited I feel. So I’m telling you now. Oh my goodness! So many thoughts, a lot of which have been expressed by others: So incredibly sorry for your loss. Thank you for being so honest here. Congratulations on the big news! All of these sentiments feel a bit trite, or cliche, but I mean them all sincerely. I think that nobody talks about miscarriage because no one likes to think about it, but it's important for women to hear that these things happen. Important for women who haven't gone through it to be respectful of other people's situations when it comes to pregnancy, and important for women who have gone through it and might feel alone. Thank you so much for sharing all of this. What an incredibly eloquent and honest post to write. I can only imagine how difficult it's been for you both, but I'm so, so happy to hear about your new exciting news. Wishing you all the best in the world! Thank you! It's so hard to open up, though, isn't it? The whole time I was going through it I thought, "I should be telling people about this," but I couldn't get the words out. Thankyou for writing this, I've read a few things recently about losing babies and I'm glad that there are people out there talking about it and acknowledging it and getting past the taboo. Especially before 20 weeks it must be such a minefield of feelings and expectations - managing who you tell and how while emotionally exhausted sounds so so hard. Oh wow Sarah, I'm so sorry. I can't imagine how hard that must have been for you two. I'm glad you shared this, people need to talk about this more, I had no idea that miscarriages were so common. Thanks for writing this, I bet it'll help people feel a little less alone out there. Congratulations to you both, happy news. I'm so sorry I had no idea what you were going through and cannot apologise enough if I upset you in any way. So brave to be able to write this incredibly honest and heart searching post. I don't talk about it because I know it will make people feel awkward and I will only get upset again. Plus the last thing I want is another person asking me if we are going to try again and am I taking folic acid!! And, no, I had no idea how common they were until I got pregnant and read all the bumph. I do think we get presented with a very rosy, sanitised version of pregnancy in books, films etc ("She got a bit big and glowy and then she screamed in a comedy way for an hour or so and then: BABY!!!!!! YAY!!!!!!!!!"). Thank you so much for writing this. Sending you all of my best wishes! Thank you! I totally understand why people don't want to dwell on miscarriage - we're told we're SUPPOSED to have babies and it's all natural and joyful and easy etc etc etc - but the silence around it really doesn't help when it happens. I've only ever experienced infertility and I know how immense the grief feels after a failed IVF treatment so I can't even begin to imagine what you and Steve must've been through. Both infertility and miscarriage are talked about so little, you deserve a huge 'well done' for sharing your story. The more everyone talks about these things, the more we can all support each other.